These forms go into effect starting with applications taken on October 3rd or after. 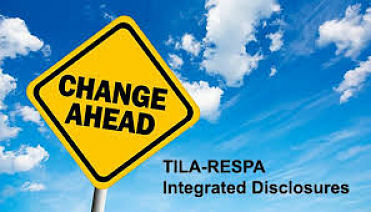 The purpose of these changes is to improve the mortgage loan settlement process for consumers. They are being implemented by regulations issued by the Consumer Financial Protection Bureau (CFPB), a federal government agency set up to look out for the interests of consumers seeking financial services. Hopefully all goes smooth and few closings are delayed. I believe in the long run TRID will be helpful but there are certain to be glitches in the beginning. Some of the details of the forms have been left up to interpretation. Therefore, don’t be surprised if you have one lender delay closing because the form is incorrect while another lender closes the transaction without a delay because the lenders interpret the form differently. In time, everyone will be on the same page. So buckle up and be as patient as possible as we work through yet another change in the mortgage and real estate industry. Time For My 6 Month rate Prediction! It’s once again time for my 6 month rate prediction. I’ve been doing a rate prediction blog for the past year and a half and I’ve been pretty spot on. Currently the 30 year fixed Freddie Mac average rate is 3.84% with .7 points. So what will the rate be at the end of this year? I’m going to predict a slight increase of .25% to .375%. Why the increase? Several factors lead me to believe rates will rise. The biggest being that the FED is just dying to raise them. For the past year and a half they have wanted to increase the FED Funds rate but the economy has just not supported an increase. While the unemployment rate has dropped the number of people who have stopped looking for jobs has risen. Plus wages have not increased either. I believe all of these things will improve slightly and the FED will react immediately. All we need is one stellar employment report and rates will rise quickly. We have now had a 5 year stretch with 30 year rates under 5% and a 13 year stretch with rates under 7%. That’s incredible. When I entered the business 28 years ago rates were 10.5%. So lets be thankful and enjoy it while it’s still low! 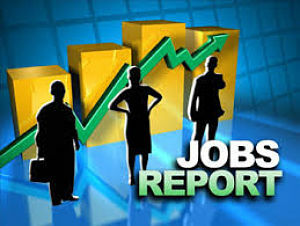 Jobs Report Out This Friday… What Impact Will it Have on Rates? On the first Friday of every month the job numbers come out at 8:30am. I always turn on CNBC an hour or so before they come out to get a feel of what the experts think and to see how the numbers might impact rates. My wife is not a fan of the first Friday of every month because she likes the Today Show and a struggle for the remote takes place. It’s really the only time in the mornings where we fight for the remote (I let her have the remote in the mornings in order to get a few brownie points to watch sports at night instead of the food network or animal channel). In any event, you get it’s an important day for me. Basically the jobs report will determine what happens to rates for the next 30 days. 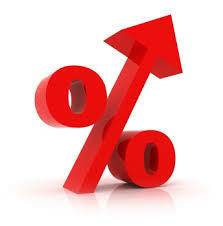 A stronger than expected number will lead to higher rates and a weaker than expected number will lead to lower rates. Obviously, there are other factors at play but the jobs report is the biggest factor. What do the experts think the number will be? “I think in general the labor market moderated a little bit in February after some really strong months. I think the weather was a little bit of a damper and it’s time for a breather,” said Amherst Pierpont’s chief economist, Stephen Stanley. He expects to see 220,000 nonfarm payrolls and a slightly lower unemployment rate at 5.6 percent. “A lot of this February data is going to have a weather effect. It was bad enough to have some impact. I do think we’ll snap back in March or April,” he said. So 220,000 is the barometer. What rates will do for the next 30 days has a lot to with how close the numbers are to 220,000. Anything close to that will not cause much of a move. A much higher number, like maybe over 300,000, will likely cause rates to rise. A weaker number than expected, maybe below 140,000, would likely cause rates to fall. My prediction is the number will be right around 220,000 and we won’t see much of a move. I’m on a little hot streak with my predictions lately. My prediction for UVA basketball at the beginning of the year was an ACC Championship and a 27-3 record (currently UVA is 28-1 and once again ACC Champs). Not a bad prediction. Let’s see if I’m better at interest rate or basketball predictions! How Was My 6 Month Rate Prediction and How About the Next 6 Months? I have to brag a little. I’m on fire with my rate predictions! Every 6 months I have a rate prediction for the next 6 months. 6 months ago Freddie Mac’s survey showed 30 year rates at 4.12% paying .6 points. I said rates would fall. What are they today? Freddie Mac’s survey says 3.92% paying 0.5 points. I also correctly predicted the previous 6 months (Dec 2013 -June 2014) when rates stayed flat. So, now it’s time for the next 6 month prediction. I predict rates will rise slightly. I’ll keep it simple. The government is finally waking up a bit when it comes to the housing market. I believe a strong housing market is one of the most important elements in having a thriving economy (in general, the better the economy the higher the rates). There’s been a few real problems with the housing market over the last 2 years. First, the regulations have become way too tight. There was an over correction to the mortgage collapse and the government is finally starting to see that and the process of loosening up has begun. Second, the government basically took the first time home buyers out of the equation. Other than Rural Development loans, there really are no good options for first time homebuyers. FHA has become ridiculously expensive and conventional requires 5% down. That’s a ton of money to come up with if you are buying your first home. 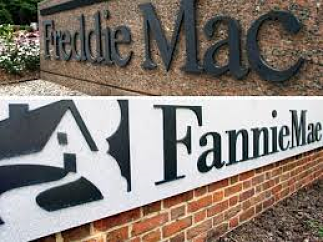 But this week Mel Watt is announcing that Fannie and Freddie are reducing their down payment requirements to 3%. That’s a start. I predict the regulations will continue to loosen and the government will continue to come up with ways to help the first time home buyers get the housing market going. The housing market will continue to improve with more first time homebuyers getting in the market. This will help improve the economy therefore driving rates up a bit. I don’t see a dramatic improvement in housing right away but I do see the government waking up and by the spring, I believe you will really see the housing market starting to thrive. Since I started my blog almost 1 year ago (November 1st, 2013 to be exact) I have been calling for Fannie and Freddie to step up to the plate and help out first time home buyers. It looks like they are about to do just that! Director of the Federal Housing Finance Agency, Mel Watt, is expected to announce this week programs that will allow borrowers to put down as little as 3 percent of the purchase price on loans backed by Fannie Mae and Freddie Mac. Currently the only low down payment loans available are Rural Development and FHA. But RD loans have income and property restrictions and FHA is just downright too expensive. While we don’t know the details of Fannie and Freddie’s new programs it has to be better than FHA. For one it’s 3% down instead of 3.5%. Second, we can assume it will not have the 1.75% up front mortgage insurance that FHA has. Third, there is no way the monthly mortgage insurance will be as expensive as FHA’s 1.35% monthly fee. My prediction is that the monthly fee will be based on credit scores and if a borrower has over 740 scores I’m thinking the mortgage insurance will be around .6%. Just a guess of course. I will keep everyone posted and as soon as the program is out I will have a blog with all the details. Are There Any Good Lenders Left? Last week I received a call from a realtor I’ve done business with for years. Her clients had gone to their bank where their money is (I’ll leave that bank un-named) for their mortgage on a new home they were buying. The day before closing the bank called the borrowers and told them their mortgage had been denied. To make matters worse the bank did not give a reason for the denial. The bank said they would put the adverse action in the mail. So the borrowers called me and we started the process. They had great credit, great income, and plenty of assets. I saw no problem what-so-ever. To make matters even stranger, when the adverse action came, the reason for denial was insufficient income and assets. What? Not only was it baffling, the bank also didn’t even try to save the mortgage by asking questions as to whether the borrowers had any additional assets or income. By the way, the borrowers did have additional assets. Guess where? That’s right. In their very own bank that was denying them!! So, what’s going on out there in the lending world? Are there any good lenders left? That’s a tough question and the answer is coming. There are 2 things driving the mortgage world right now. QM (Qualified Mortgage) and ATR (Ability-To-Repay). What that means is all lenders have to play by the same rules to avoid buybacks and penalties. No lender gets to bend or warp the rules to gain an unfair advantage over the rest of the lender universe and every lender offers up the same mortgage approval gauntlet. It also means that lenders are going to scrutinize the files like never before. The lenders will make sure the borrowers actually file their income taxes by checking with the IRS. The lenders will want to know where any large deposits came from. Was it a gift, was it a loan, was it terrorist activity money? The lenders will double check the borrower’s employer before closing to make sure they are still on their jobs. The lenders will double check to make sure the borrowers are not using a fake social security number. They will re-pull the borrower’s credit before closing to make sure they have no new debts. You get my drift. Whatever trust there was before is now gone. On top of that add in the over-the-top compliance now in effect from the Dodd-Frank bill and you have an atmosphere like never before. In my 27 years in the mortgage business this is the worst I’ve ever seen it. Now, back to my question. Are there any good lenders left? Answer…….NO. The only thing left are good loan officers and support staff. And if you don’t have them you’re in trouble. Good loan officers and their support staff get as much information up front as possible. They also see potential issues and address them up front. They also look at the approvals and deal with meeting the conditions long before the day of closing. The lenders are all basically the same. The condition sheets and the rules will be similar. The days of using any bank and any loan officer are over. If you can not immediately get your loan officer and support staff on the phone then don’t use them. If they are out of town, don’t use them. If they are inexperienced, don’t use them. If they are not recommended by someone, don’t use them. Buying a home is one of the biggest decisions and experiences in your life. Make sure you make the right decision. 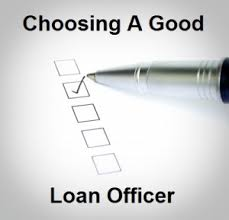 Don’t choose by bank, choose by loan officer. Why Is The First Time Homebuyer Market Struggling? 1) Buybacks. It seems like the authorities are now forcing buybacks and fines over relatively minor errors, and as a result, lenders are refusing to extend credit to low-income / low FICO borrowers. Many first time homebuyers fall into the low-income / low FICO category. Of course the Administration continues to exhort the industry to loosen standards at the same time it announces record settlements. 2) Tougher on credit scores. Most first time homebuyers are young and nearly 70% of individuals under age 30 have FICOs less than 680. Lenders are tougher on lower credit borrowers, therefore hurting many first time homebuyers. 3) Tight lending standards have discouraged borrowers with low credit score from applying for mortgages. In the last year borrowers with FICO scores below 680 were rejected 6 times the rate of those with FICO score of 760 or above. This has caused a fear and a feeling of ‘why bother’ in many first time homebuyers. 4) The Qualified Mortgage Rule under Dodd-Frank. The Qualified Mortgage standards regulate borrowers’ total debt load can’t climb above 43% of their monthly income without being backed by Fannie Mae, Freddie Mac or a federal housing agency. This has taken some first time homebuyers out of the market. 5) Lack of excitement with appreciation. Prior to 2008 many first time homebuyers would follow the advice of their parents. That advice would be to buy a house. Even if they were only going to have it a short time the general feeling was it was a quick way to make some money. Prior to 2008 parents were much more willing to gift or lend their children money for a house, knowing it would be a great investment. Now that feeling has changed. Buying a home now is more of a long term investment and when many first time homebuyers are not sure how long they will be in a particular area, their excitement of owning a home declines somewhat. 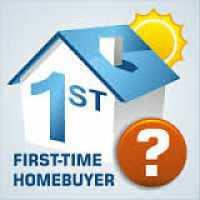 So why is it important that the first time homebuyer market picks up? In a normal healthy housing market the first time homebuyer rate is roughly 40% of total housing. It currently stands around 30%. This hurts the whole housing market. 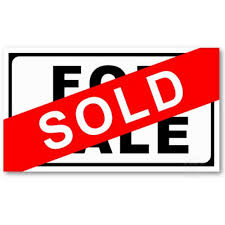 Without the first time homebuyer the move up buyer is stalled, therefore affecting the entire housing market. If the housing market is not healthy the whole economy is negatively impacted. What can be done to turn things around? Time will help. The further we get from the housing crisis the more things will improve. There has been a major over reaction from the government and this will let up eventually. It’s also a supply and demand issue. With all the refinances basically gone banks need more loans. Therefore, credit will loosen and new programs will become available.